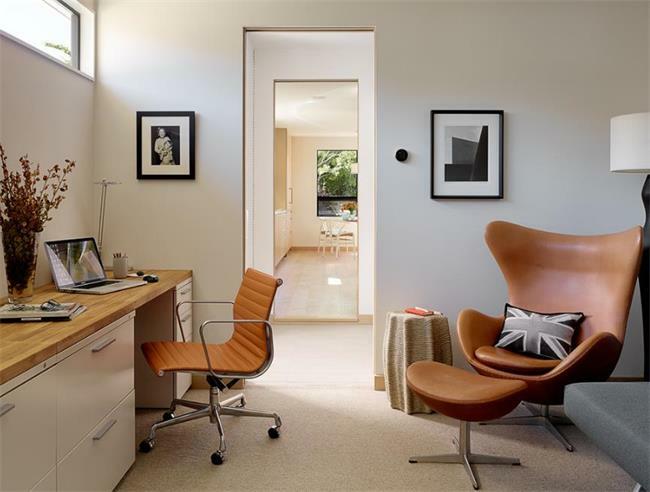 Eames Aluminum Group Executive Chair (DS384) sits equally well in all kinds of home and workplace interiors, a statement of enduring design excellence. 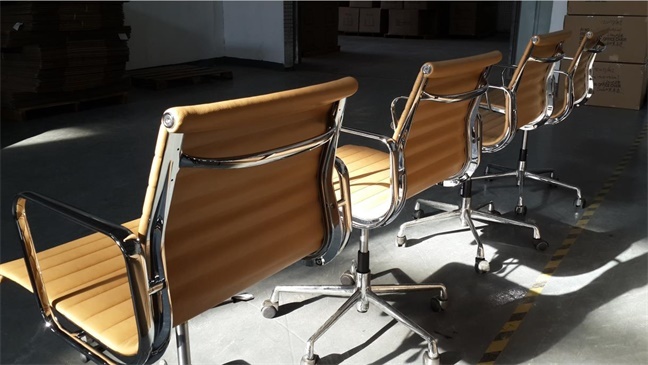 And the Eames Aluminum Group have been a popular design since their introduction in 1958. The Aluminum Group of chairs and tables were designed for a specific project, Eero Saarinen and Alessandro Girand’s Irwin Miller House in Columbus, Indiana.The project required a group of chairs that could be multifunctional and used indoors and outdoors. They have sleek aluminum frames with leather or vinyl ribbed cushioned upholstery. Some chairs have arms, others low backs, high backs, some swiveled, some tilted. The concept was known as the Leisure Group or as Indoor/Outdoor Group during it’s development.Today in contrast to the original brief, the stylish furniture is used nearly exclusively indoors in office environments.The Aluminum group consists of a high back tilt swivel lounge chair, a similar desk chair but this also has an adjustable seat, a low back side chair that comes with or without arms, an ottoman, coffee table and dining table. Timeless classic design, who would have thought that the design concept for these chairs would be so widely embraced. Graceful silhouette, innovative comfort features, timeless design. Obviously Eames. The Executive Chair offers a high back, tilt-swivel mechanism, seat-height adjustment, and tilt lock feature. And now, exciting new finish and materials options. 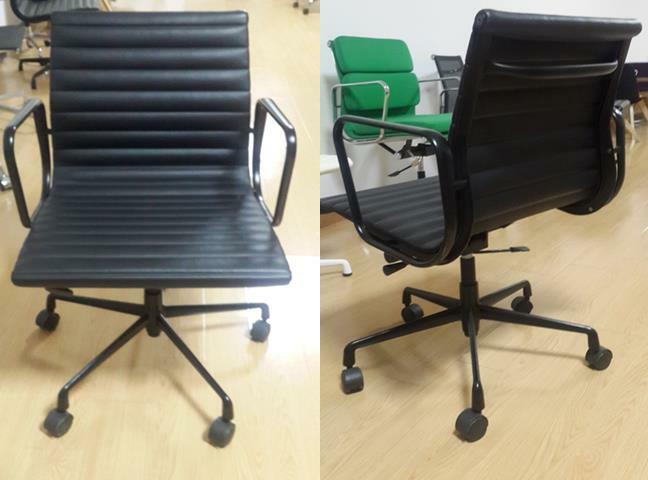 Delson has a variety of Eames Executive soft pad aluminum group management office / conference chairs.